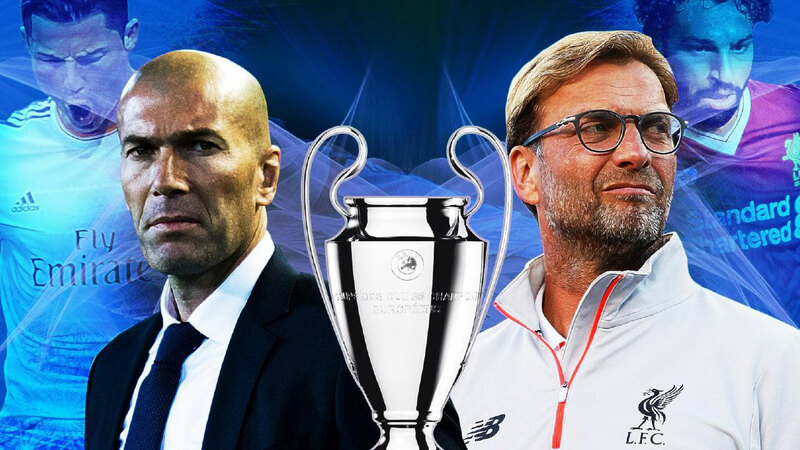 Liverpool and Real Madrid are facing each other aiming to add yet another trophy to their rich history in the European most prestigious tournament. This year final could become historic, as Real are bidding to win their 13th cup and 3rd in a row, which is hard to imagine that another club will repeat this milestone soon again. Jurgen Klopp on the other side is finishing the most fruitful campaign at the helm for Liverpool and undoubtedly will be looking to avoid being on the losing side of UEFA Champions League final. The German and his previous club Borussia Dortmund lost to Bayern Munich in an all-German final at Wembley. The final in Ukraine is promising fireworks as the two sides are playing quick, attacking football, but where can the game be won or lost? We are looking at the four critical battles across the field. The 5-time Ballon d’Or winner Cristiano Ronaldo will be in his talismanic role for Madrid again. Portugal forward scored the remarkable 43 goals so far this season and will be looking to win his 5th trophy. Ronaldo often is sitting on the lift side of the 3-players forward line for Real and also is having the free role given by Zinedine Zidane. With his athletics and brilliant finishing skills, he can provide a stern test to Reds defence. He is already 33 years old, and maybe he lost a bit from his speed but his ability to change the course of the most crucial games in remaining his biggest asset. The second part of the season and knockout stage games gave us a glimpse of what Ronaldo is capable of – the great goal in 1st leg against Juventus is just a goal worth mentioning. Van Dijk is proving to return the significant amount paid by Liverpool in January – 75 million pounds made him the most expensive defender. The Dutch defender had improved Liverpool’s defence and his command displays earned the Reds 17 clean sheets – most significant number since 2009. The final would be the biggest game of his career so far and what a great occasion to show his progress. Van Dijk will be looking to make a standing performance against lively Real attack. The Croatian playmaker Luka Modric turned out a real gem in the transfer market since joining from Tottenham 6 years ago. His creativity and deep passes can unlock any defence. Here Liverpool’s skipper must enter and provide minimum space to Modric as possible. Pressing him deep may leave the area to be explored, so Henderson must be energetic if his team would go and win the match. With players like Kroos, Isco and Casemiro – Real’s midfield is filled with quality. To reach their level Henderson, Wijnaldum and Milner must get really up their game and have a memorable match. Marcelo is possibly the best left back in the world, and the 30-year old full back player is so productive in later stages of the Champions league that it’s almost frightening. He is running forward in nearly every Real attack, and the rookie Trent-Alexander Arnold is in for a tough time. Marcelo must be aware of his defensive duties too. He will have to deal with either Salah or Sane, who are going to switch their positions frequently. If the Brazilian get carried away in attacking phase, Real could be in trouble. The pace of Liverpool forward line could be damaging and give the goalscoring record of the talismanic Egyptian, Zidane must instruct his wide players not to forget their defensive duties. Klopp will have something else in his game plan, and that is to provide decent cover for Arnold and Robertson on both backs given their lack of experience on biggest stage. Salah and co will have to help their young teammates, and this could harm Liverpool’s biggest weapon. Will Mohamed achieve balance in the two phases of play? Maybe this question will answer whether the Egyptian will become iconic in Merseyside just 11 months since joining. Real Madrid’s captain is a real legend having won 15 major tournaments to his name with club and country. He will soon play his 600 games for the club, and his iconic status can be granted by winning 3rd UEFA Champions League cup in a row. He turned 32 in March, but his influence is apparent. Despite being a central defender, he is one of the just five players who scored in 2 different Champions league finals. The Spaniard will have Roberto Firmino against him, and the task will not be an easy one. The Brazilian trashed the talks that Liverpool need a real 9. He enjoyed the best season of his career – 27 goals in all competitions and a starting role for Brazil in the forthcoming World Cup. He posses speed, technique and man marking him with either Ramos or Varane could leave space for the other two in Liverpool’s attack. Don’t forget to check out our Free Tips each day to bust the bookies!